Mershield Stayclear Coating over the glass prevents the build up of soap deposits, making the glass "Easy to Clean"
For fitting instructions download PDF from technical tab . *CE marking product complies with the essential requirements of the relevant European health, safety and environmental protection legislation.CE marking is for many consumers a "Symbol of Safety." 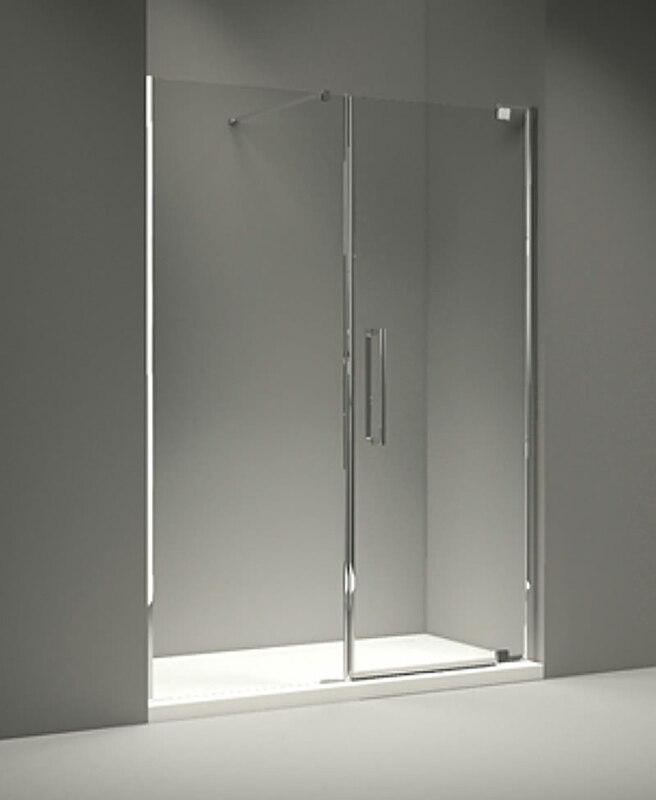 Merlyn once again present you a fabulous bathroom essential, with the10 Series Pivot Door And Inline Panel. 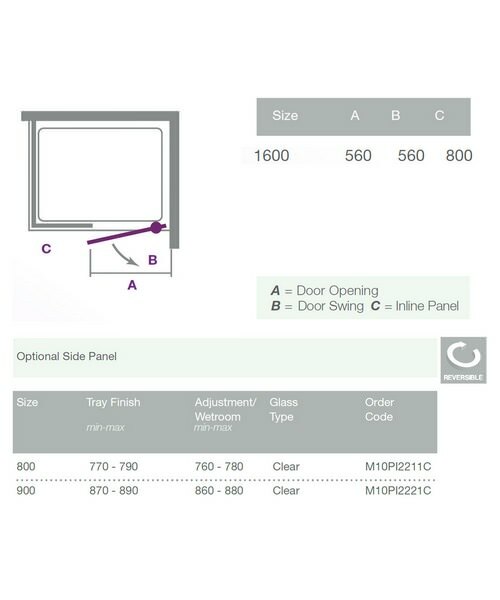 Made from Mershield glass, this door is treated to withstand soap and lime deposits, ensuring you a hassle free maintenance. 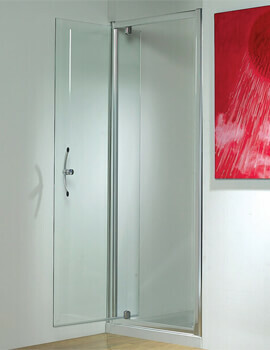 It has a classic chrome finished frame, which will add style to your bathroom interiors. This reversible pivot door is supplied with a chrome handle and is wetroom compatible. 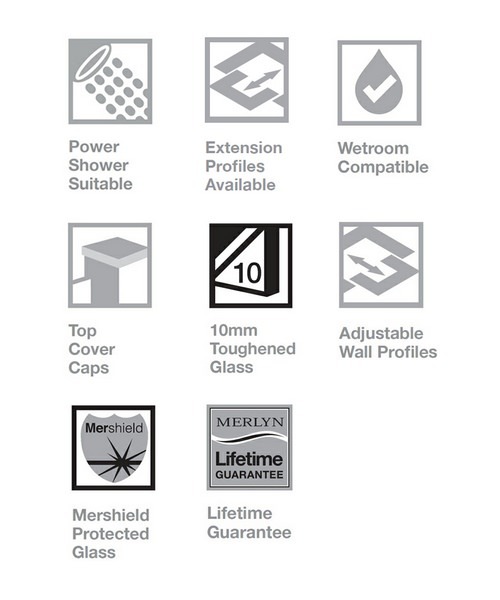 Merlyn backs it with a lifetime guarantee covering manufacturing defects. Made of 10mm Toughen Glass. 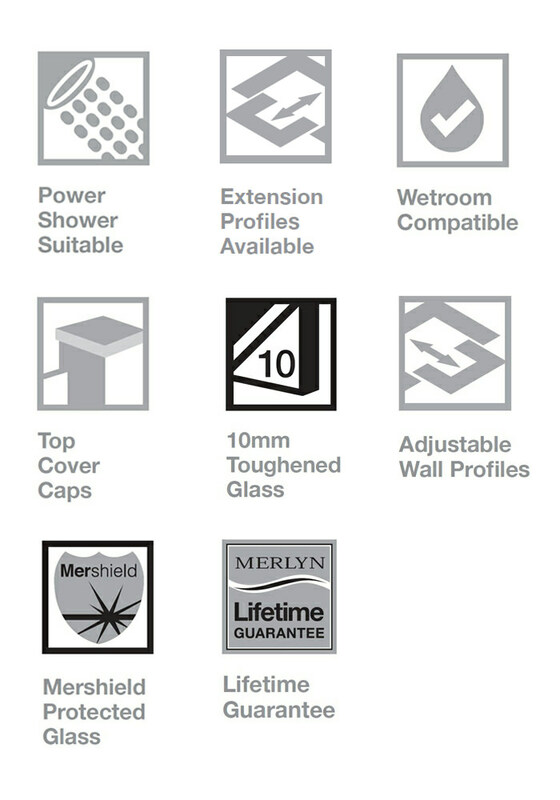 Merlyn Series 10 Side panels for use with Merlyn Series 10 Shower Doors. Select your desire option from below. Please Note : image shown is for illustration purpose. Can be used for 20mm extra adjustment with one extension profile. Please Note - Image for illustration purpose only. 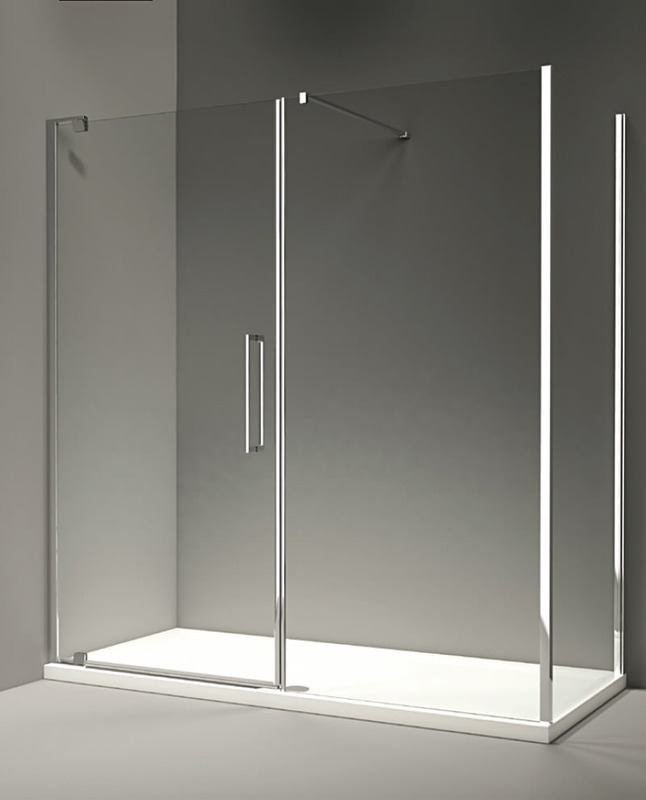 Double skinned for added rigidity 45mm high to achieve minimalist design. 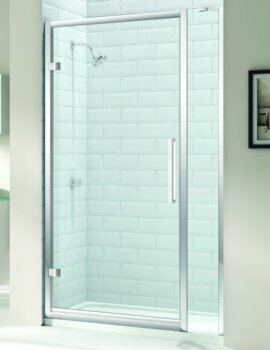 130mm high including tray panel set ABS capped acrylic sheets which has anti-bacterial properties comes with 90mm fast flow waste. Image shown just for illustration purpose only. 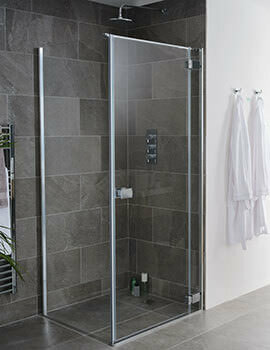 Shower Tray Panel Set come to you complete with panels, and adjustable legs. 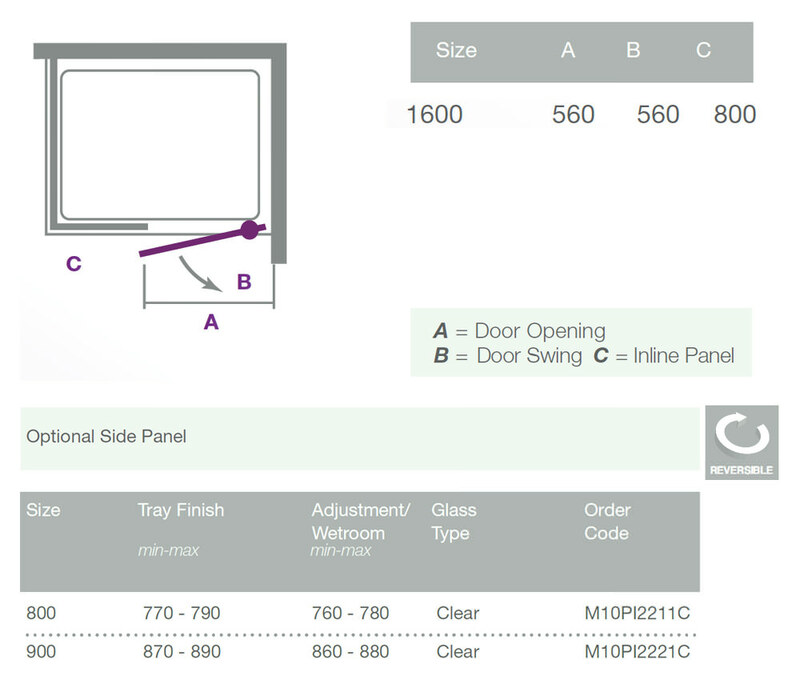 These panel sets allow to you install the shower tray at a raised level, giving an easy access for maintenance. Image is for illustration purpose only. These beautifully handcrafted ultra-low slate trays are elegant in appearance and luxurious to touch. With a choice of finishes to choose from, these trays will bring an element of natural beauty and a truly designer finish to your bathroom. 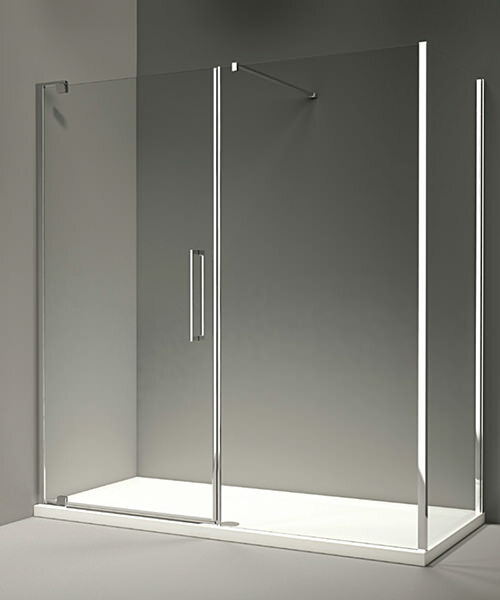 This shower wiper helps you to keep your enclosure sparkling for years to come. 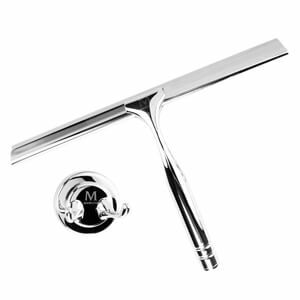 Includes a designer chrome branded holder to keep it within your reach.